Swoop, which is WestJet's ultra low cost airline, has just announced new non-stop flights from Hamilton to Cancun & Puerto Vallarta, Mexico. 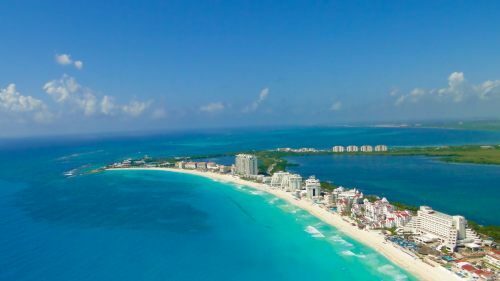 Flights from Hamilton to Cancun start at $293 CAD roundtrip, while Puerto Vallarta is about $15 more. Keep in mind that $293 roundtrip is the base price, and includes *only* a personal item. Low cost carriers charge extra for *everything*. $353 CAD roundtrip is the more realistic price to use when comparing against other airlines. - look for the dates that are $149 on the way there, and $145 on the way home. flight deals, cancun, mexico, cun, puerto vallarta, pvr, north america, hamilton, yhm and swoop. 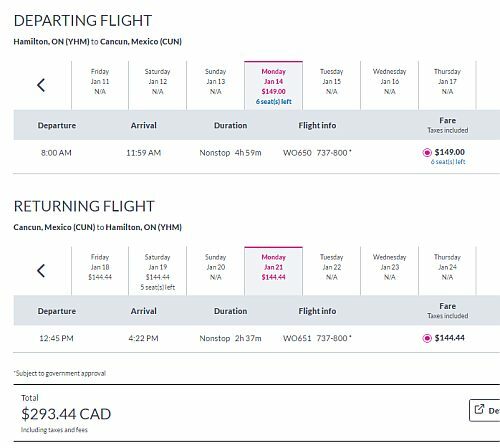 One Response to "New routes: Hamilton to Cancun & Puerto Vallarta, Mexico - $293 to $353 CAD roundtrip | non-stop flights"
Beware of buying Swoop right now, they just cancelled dozens of US flights.